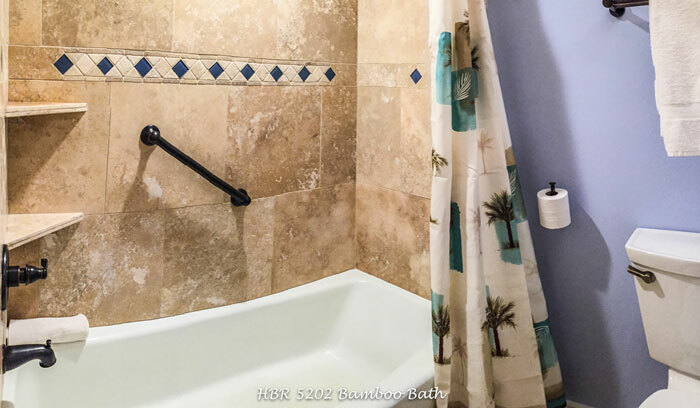 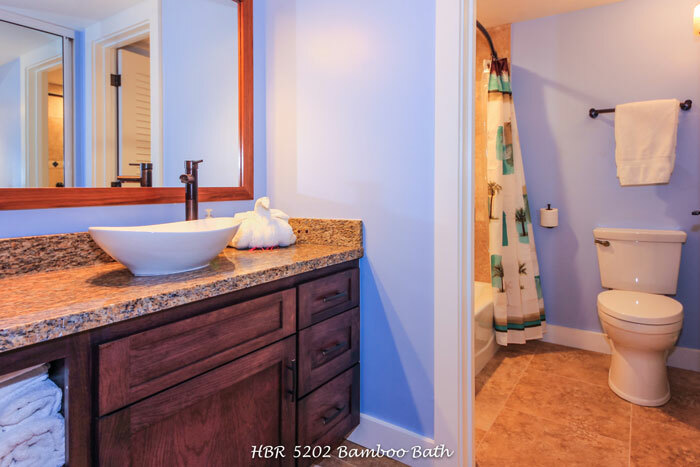 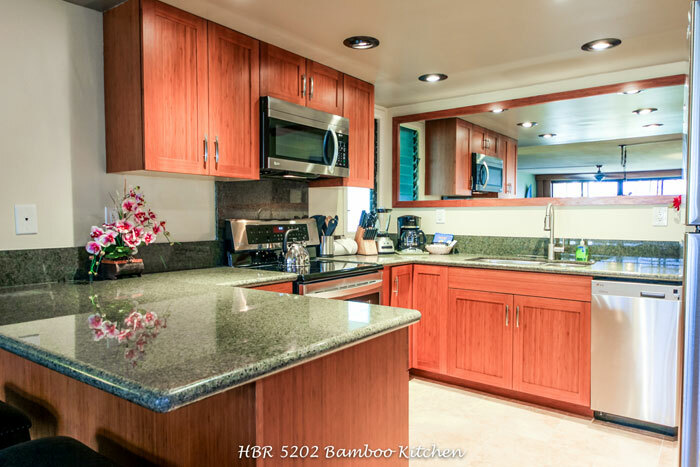 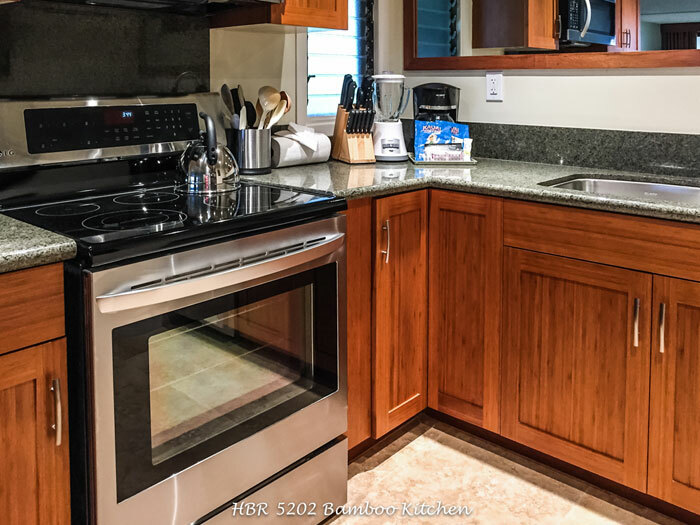 Hanalei Bay Resort 5202 Bamboo is a deluxe one bedroom condo with full kitchen, air conditioning, full size high efficiency washer and dryer, and dining area. 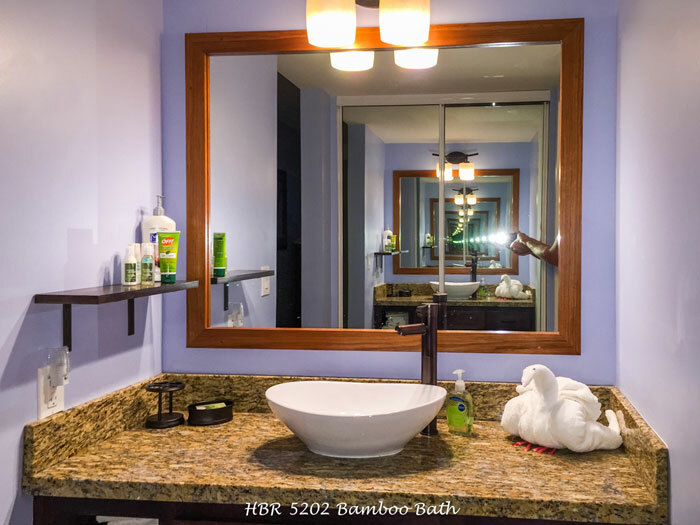 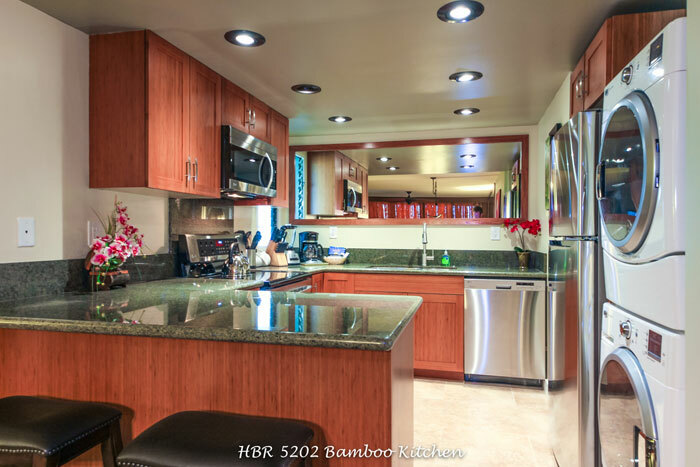 The remodeled condo includes deluxe bamboo DeWils soft-close cabinetry, granite countertops, all new high end stainless LG appliances, built in desk, all new furnishings, 20" ceramic tile, new artwork, bamboo custom window treatments, all custom lighting and hardware. 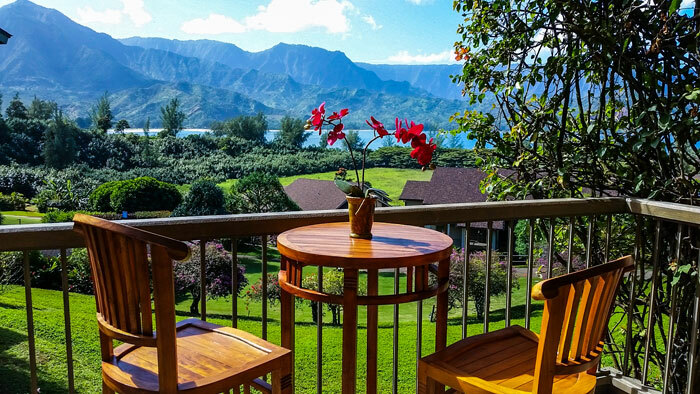 Everything is new except the view. 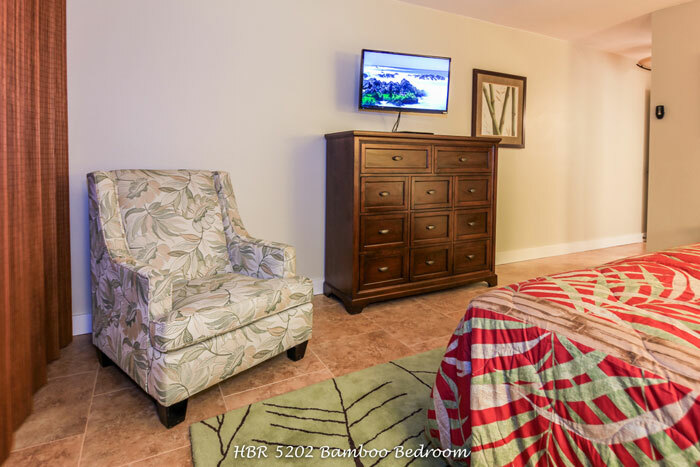 The master bedroom has a king bed with Perfect Sleeper firm plush mattress, wall-mounted HDTV, end tables with built in USB and electrical charging stations. 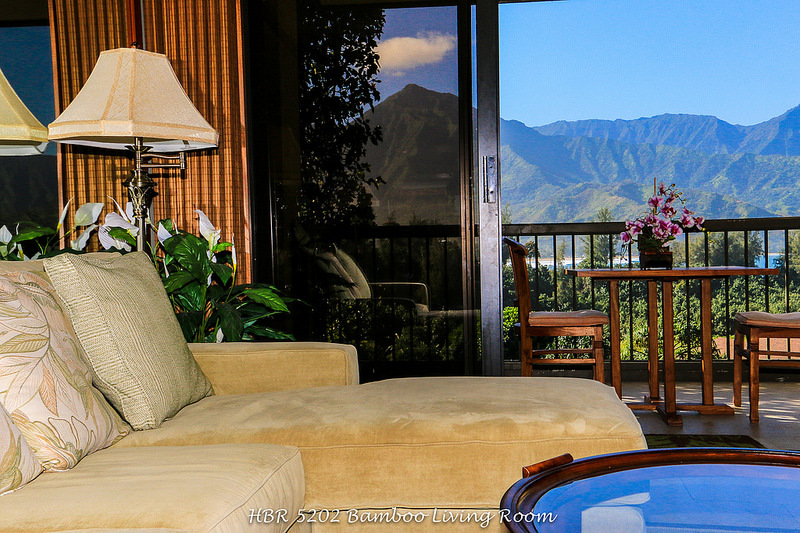 The lanai runs across the full back of the condo and has a spectacular view of the ocean, mountain, waterfall and rainbow views. 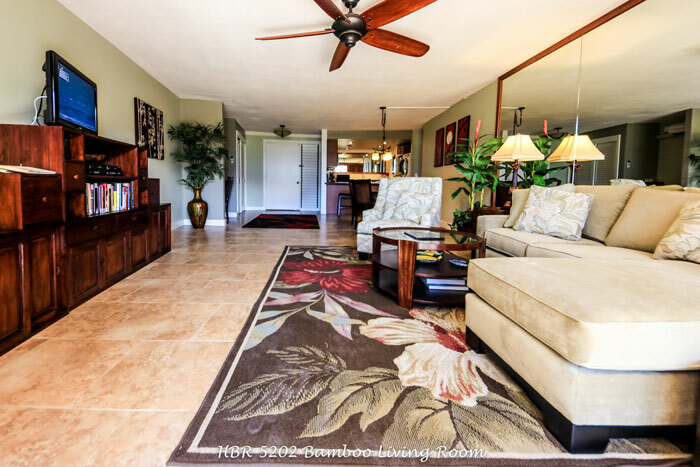 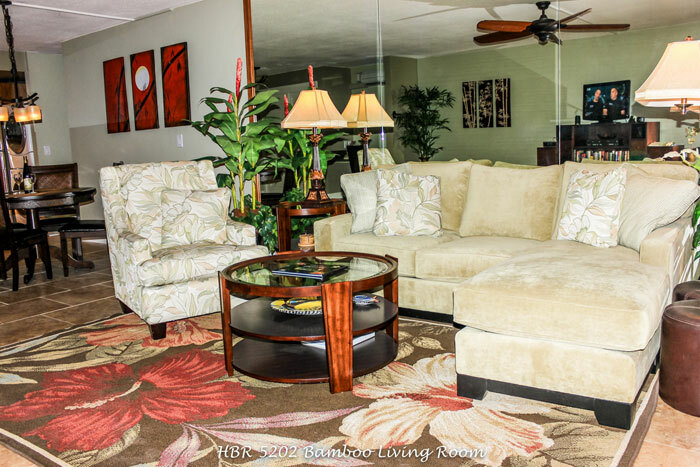 The condo has free cable TV, DVD, free wireless internet and is one of our most popular Kauai vacation rentals. 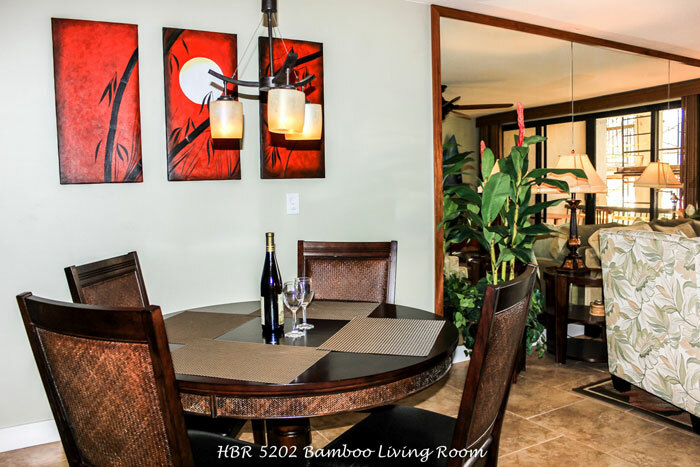 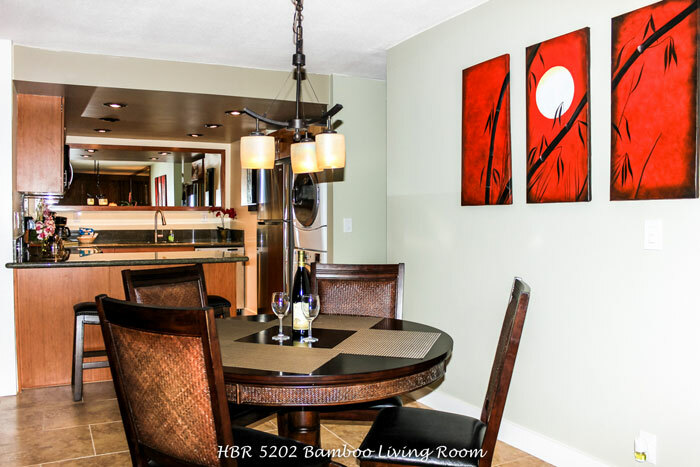 HBR 5202 can be combined with HBR 5201 to create a 2 bedroom condo. 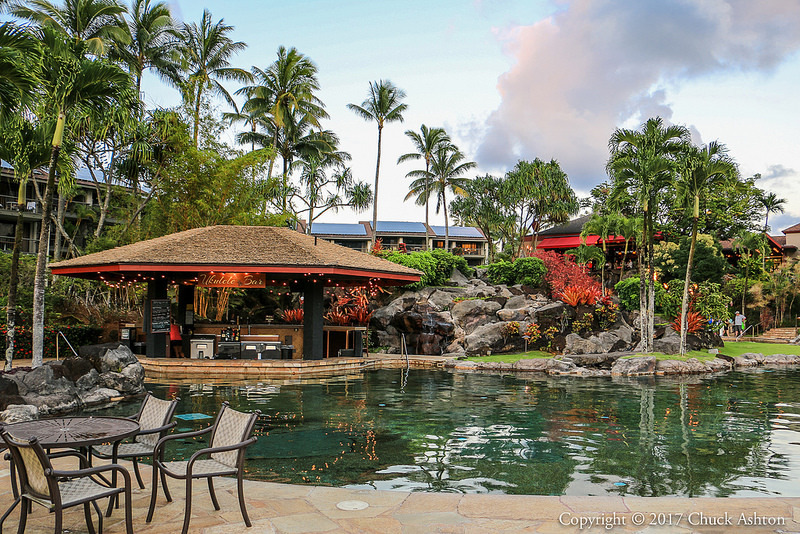 Could you ask for anything more - eight tennis courts, two swimming pools one with tropical waterfall and a children's beach, a spa with cascading waterfalls and a sandy bottom, fitness center, full service restaurant, lounge with nightly entertainment, barbecues, yoga classes, scuba lessons, massage, concierge desk, bellman and discounted golf privileges at a Robert Trent Jones, Jr. designed golf courses. 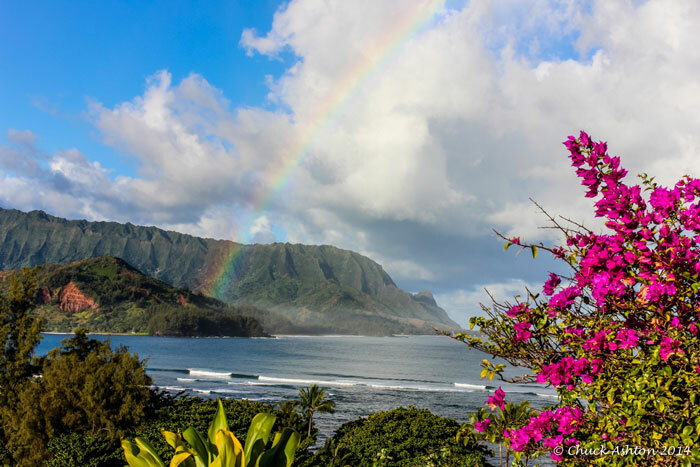 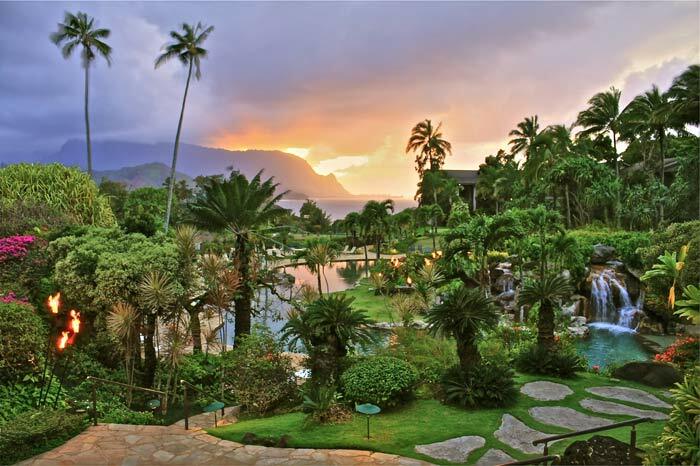 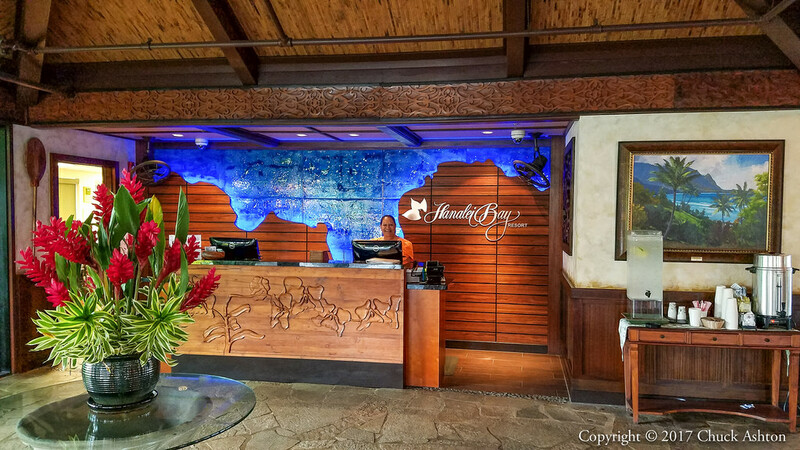 CondeNast Magazine named Hanalei Bay Resort one of the top tropical resorts in the world. 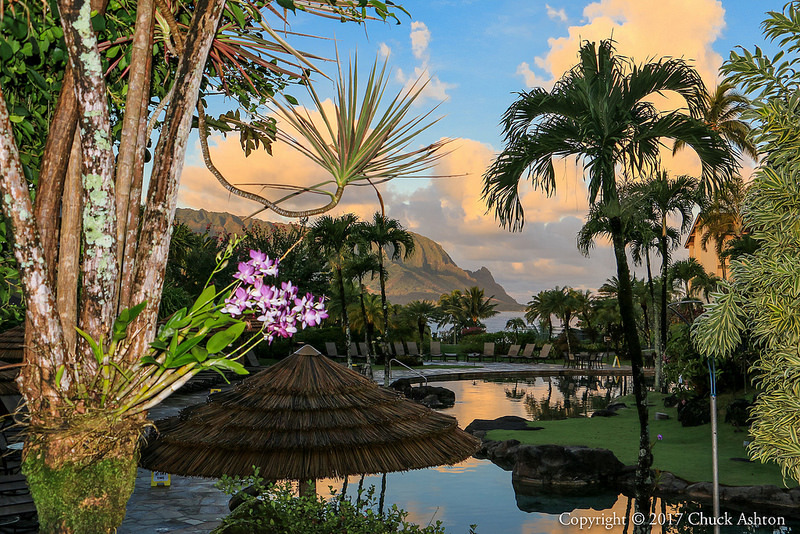 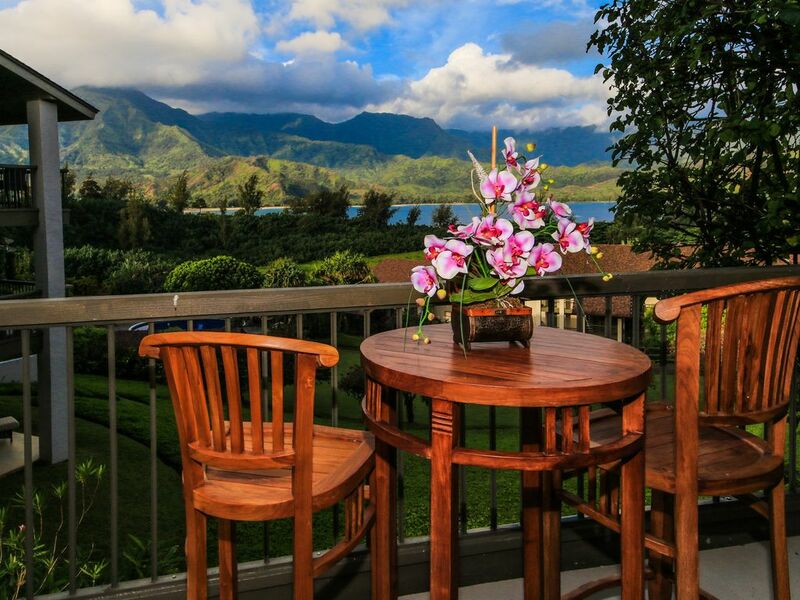 Situated on over 20 tropical acres ocean and sunset views of Hanalei Bay and world famous Bali Hai mountain. 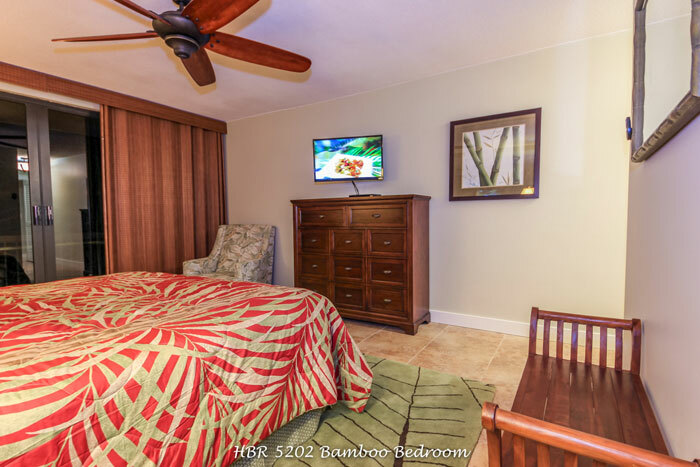 Here, you'll be surrounded by cascading waterfalls, lush foliage and a paved path to the beach. 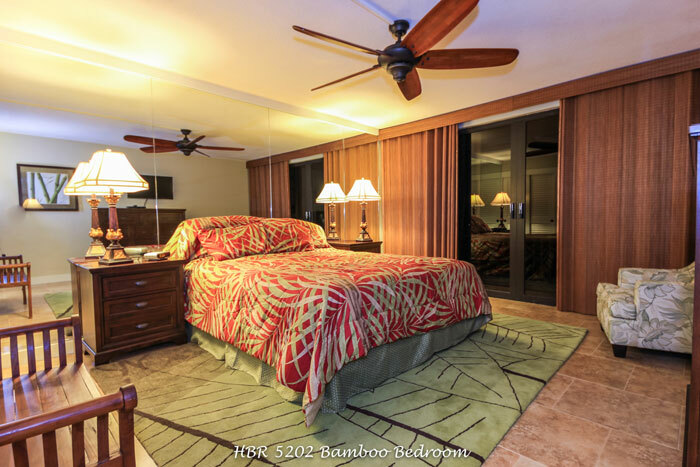 50% refund if canceled at least 30 days before arrival date. 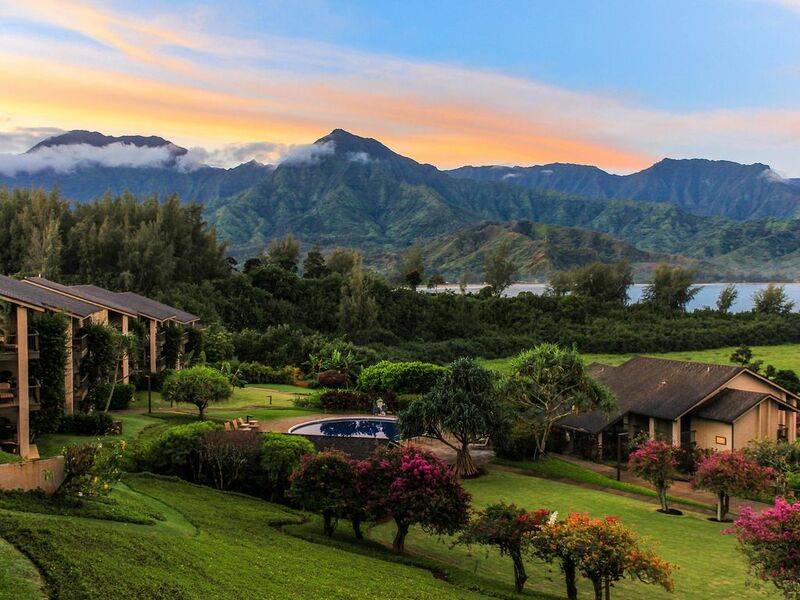 Hanalei Bay Resort charges a Resort Fee of $20/day (plus tax). 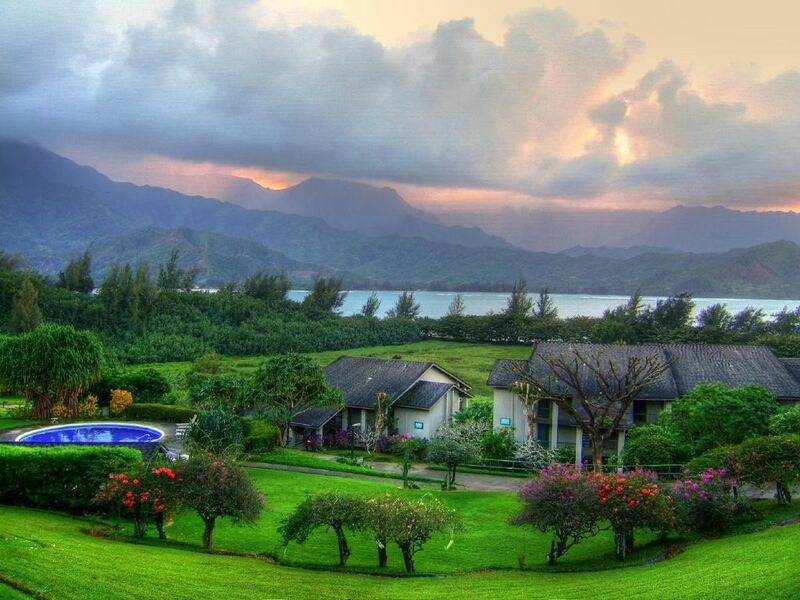 Hanalei Bay Resort charges a parking fee of $6/day (plus tax). 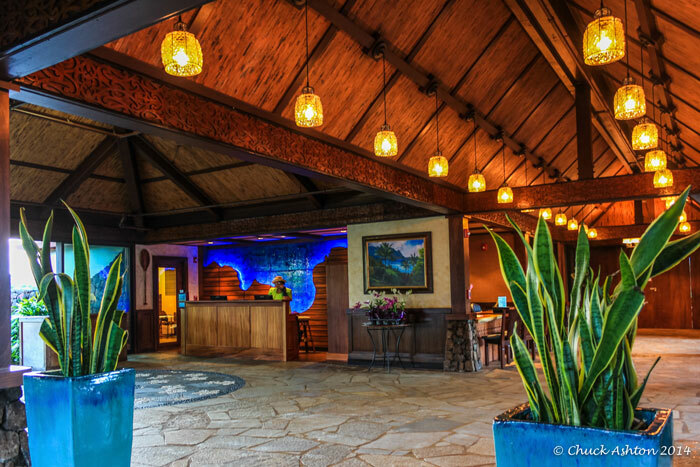 The fees are collected at check-out. 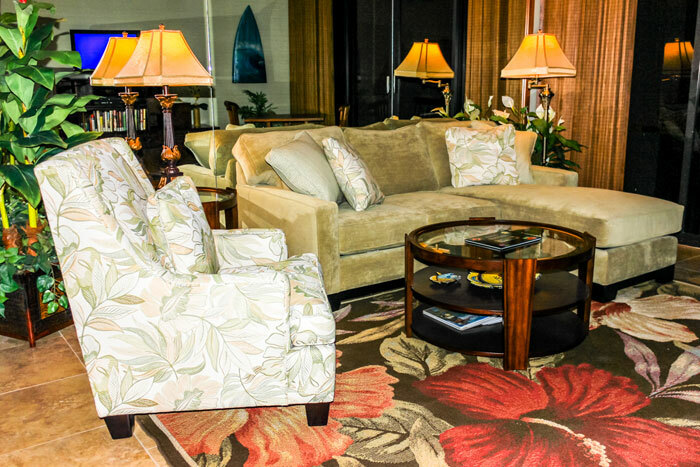 Many flights departing to the mainland leave after 10:00 pm. 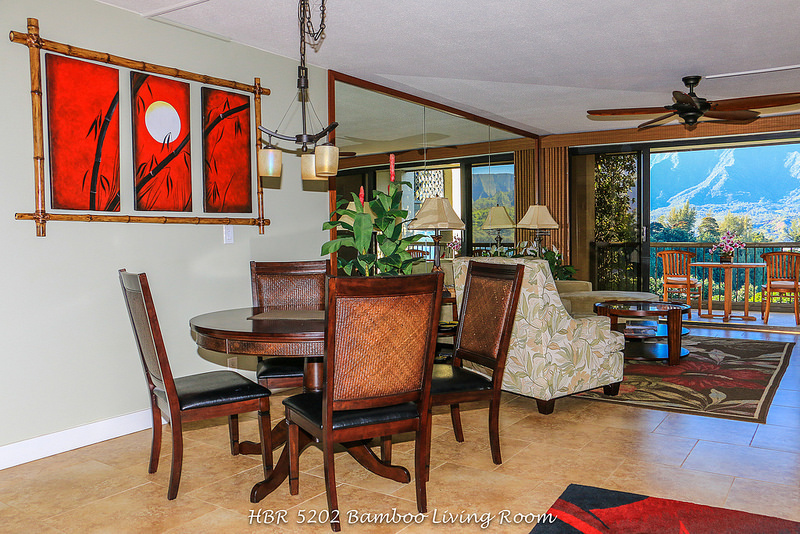 Please consider this when booking the condo. 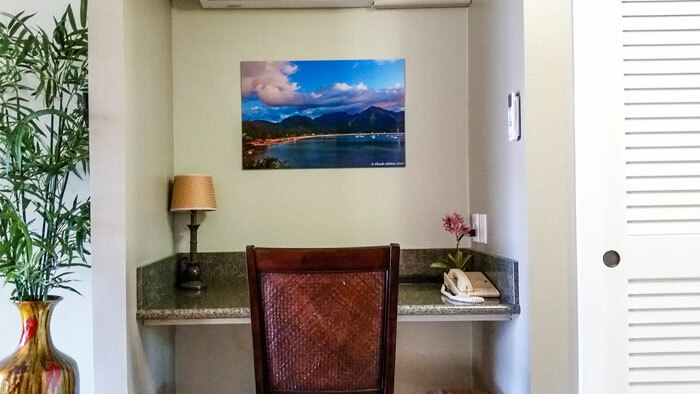 If you would like to stay in the condo past the 10:00 am check-out, you might consider also booking the day you depart so you have the full use of the condo until you depart. 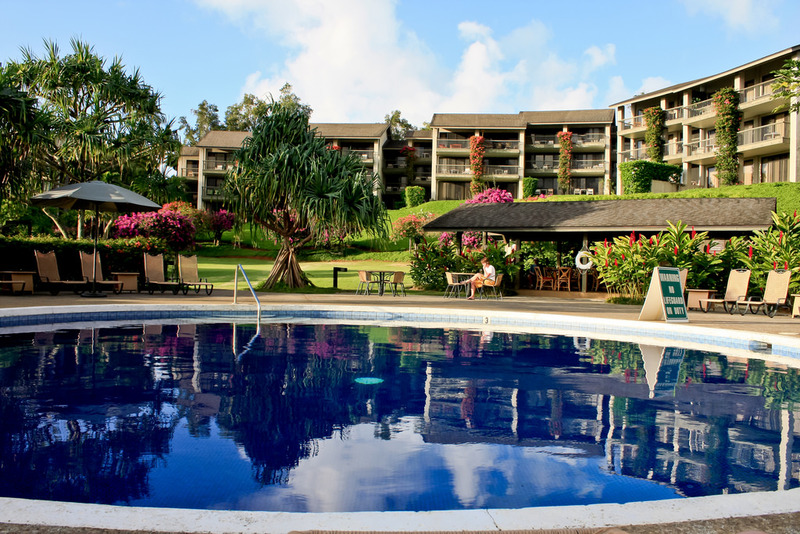 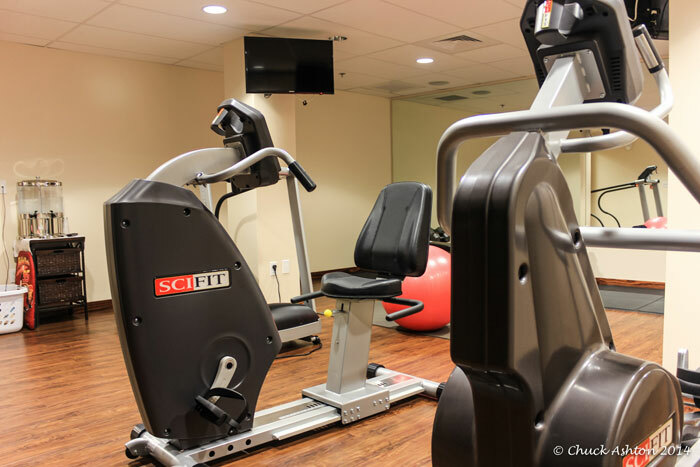 This will give you a full extra day during your stay.